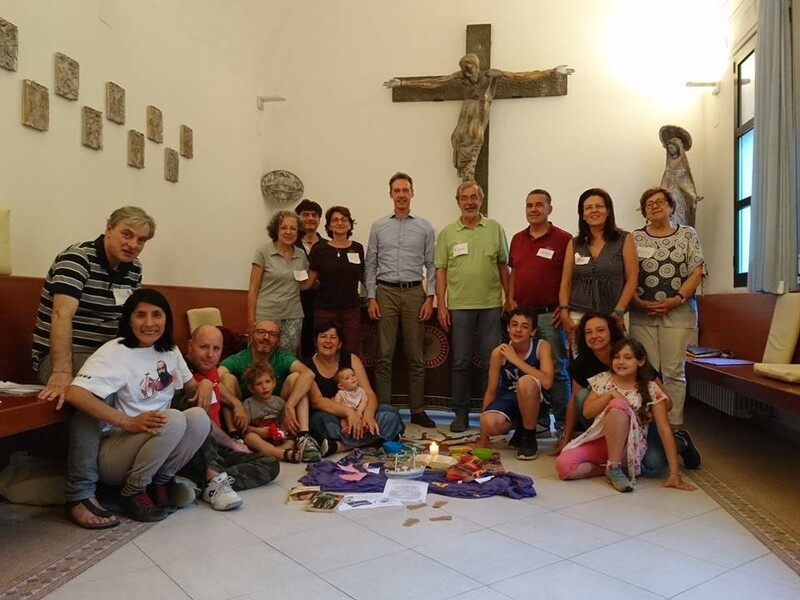 On Saturday and Sunday, June 16-17, we met at the “Osservanza” of Bologna, Italy to pray together and reflect on “The Mission of the Comboni Lay Missionaries: challenges, dreams, hopes,” under the guidance of Fr. Giovanni Munari. From the group of Bologna, the following were present on Saturday afternoon: Micaela, Emma, Chiara, Eileen, Agostino, Giuliana, Annalisa and Michele. While from Padua the following attended: Fabrizio, Francesca, Dorella e Roberto. We started from the meaning of the term “Mission” and from the Word. To begin, Fr. Giovanni reminded us that the Gospel is one and the same for everyone, be they lay people, priests, sisters, etc. The Beatitudes are a life ideal for everyone, and not just for members of consecrated life. The Baptism we received gives full right (and duty) to each lay person to feel as an integral part of the Church, to proclaim the Gospel, to work for the Church. It is a “right of citizenship” within the Church for all the baptized. And if we want to build anything, we must do it based on the Word, not on documents. We asked ourselves some questions. What does it mean to have the Gospel as the ideal of our life? Has the Church today gone astray? “What does the Spirit ask of us?” Why does Pope Francis speaks so often about renewing the liturgy? Do we, too, feel this need? Do we feel Faith and Life in the liturgies of our churches? Then, starting from who we are and remembering that the Word, which we celebrate in the liturgy, is the foundation of our faith, we reflected on our relation with the world as Church. The great revolution consists in understanding that the Church is not the center of the world, but it is the Church that rotates around the world, just as it was with the revolution of Copernicus. And the renewal of the Church covers also the liturgy. At this point we gave some time to an examination: as groups from Bologna and Padua we spoke of what we did in our territories during this past year. We underlined the wealth that each one of our groups carries after years of existence and of how we run the risk of losing it or dilute it and not being able to recognize it if we lack a shared memory. After the reflection, gathered around the Word, each one of us showed a sign of the journey done during this past year: the leaflet of the “aperisuppers” of the Peoples organized in Padua, the leaflet of the parish encounters on the new styles of life organized in Bologna, some relevant books (the Ave Mary by Michela Murgia), the Wipala, a pencil recycled at 80% that does not break and writes even without a tip, the tags with our names, the nard oil. After supper we got together to listen to the witness of missionary life given by Sr. Elizabeth Raule and Sr. Federica, Comboni Missionary Sisters working in Chad and the RCA respectively. It was beautiful to hear of the joy and passion that guide their steps despite the difficulties they meet on a daily basis in their work among those people (Elizabeth, who is a doctor, daily operates on many people seriously wounded by firearms and knives, because of the internal war raging in Chad. Federica, a nurse, works among the Pygmies in the forest). On Sunday morning only the group from Bologna was present: Giuliana, Emma, Annalisa, Chiara, Micaela, Eileen, Lise, Agostino, Michele. What did they do with them? “They picked them up and filled twelve baskets with the pieces of barley bread left over by those who had eaten.” What was the reason for such an abundance? We must be careful not to lose anything and, thinking of our groups, this Gospel invites us to collect the wealth of our journeys spread all over Italy. Then we read parts of a document from 1994: The letter of the Superior General and his Council to all the confreres on the COMBONI LAY MISSIONARIES. 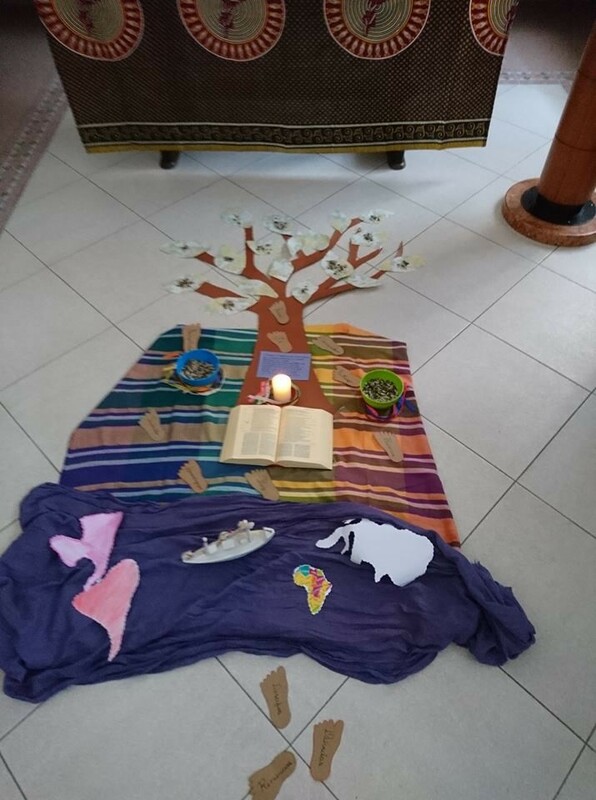 “The CLM constitute a new reality that demands from us trust, availability and creativity…” writes the General, together with many other good things that strengthen the strong relationship between priests and lay people within the Comboni family. Above all, however, this document reminds us that to be CLM is a vocation which, if inspired by God, grows night and day like that seed thrown into the ground, whether we are awake or asleep. At this point we all need to take time to reflect on our vocation. In September we will start again to give shape and content to our journey through the next year, getting ready to face with faith and courage the challenges coming our ways, certain that in this journey we are not alone! I love this wonderful though of life,and would like to join you as u preach the word of God.